Publicado en: Portable, Seguridad, seruno1, Utilidades. 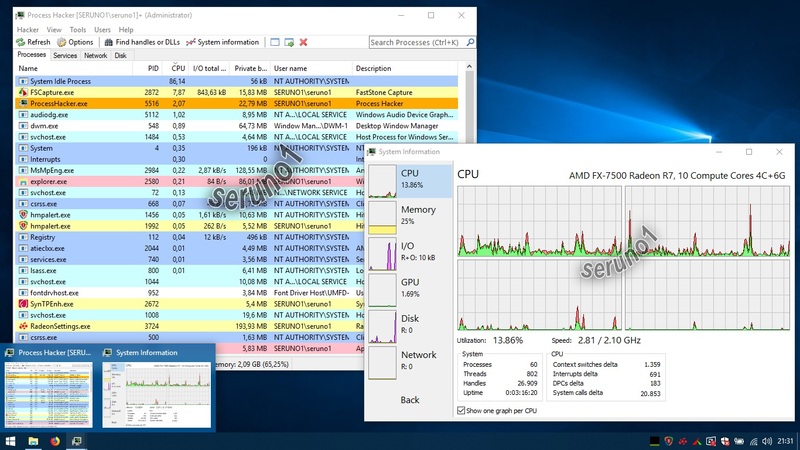 Etiquetado: advanced taskmanager, process hacker 2019, process hacker 3.0, terminar procesos, ver y eliminar procesos. 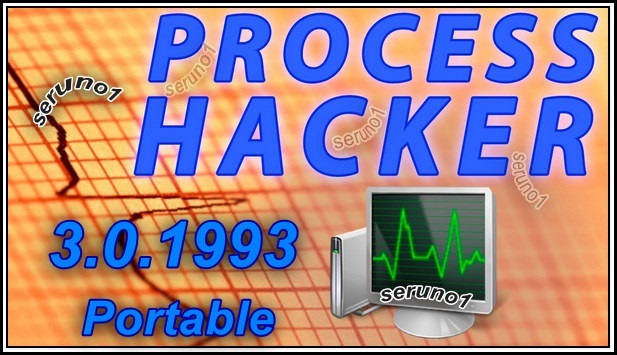 Process Hacker 3.0.1993 beta (diciembre 2018) es una aplicación multi-proposito de supervision del sistema (cpu, memoria, red, disco, etc) que te será de gran utilidad para monitorear los procesos que se están llevando acabo en tu ordenador. Con él podrás ver “absolutamente todos los procesos”, incluidos los ocultos producidos por posibles malwares. Podríamos decir que es una versión avanzada del clásico Administrador de Tareas nativo. Fix 32bit WinSDK path typo. * Add Win10 1809 (RS5) support. * Add service highlighting for LocalService processes. * DotNetTools: Fix .NET performance tab sorting. * Highlight modified privileges and groups. * Improve coloring and description for tokens groups. * Block 32bit version from running on 64bit. * Fix crash when renaming processhacker.exe to avoid malware. * Fix json-c library exporting unused functions. * Improve symbol event memory usage. * Fix highlighting .NET modules loaded by 3rd party CLR runtimes. * Add initial security editor TokenDefaultDacl support. 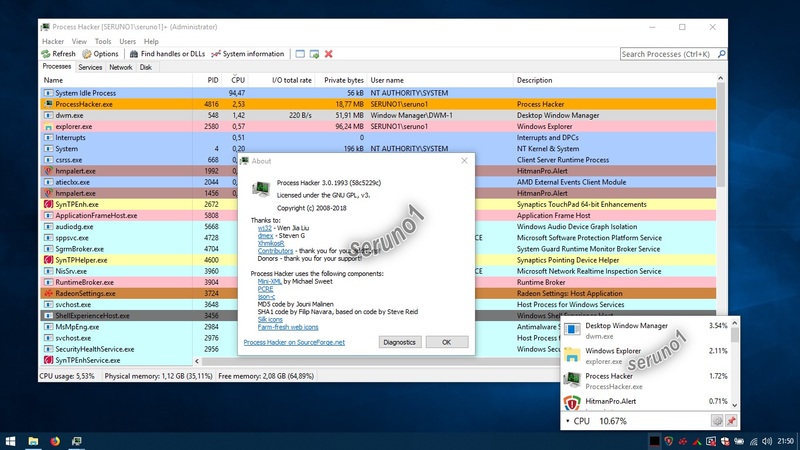 * Remove WindowExplorer window information triggering Chrome showing incompatible application. * Update thread stack progress dialog to task dialog. * Fix process properties and thread tab crash. * Add dynamic type initialization. * Fix process environment menu. * Fix classic theme regression. * BuildTools: Add build timestamp. * WindowExplorer: Add filename for window class module. * Update default theme window styles. * Fix service properties parenting.